The camp-site swimming pool has a much-used slide for kids. There are also very comfortable deckchairs to relax in. The swimming pool is open from 01/06 to 31/08 from 9.00am to 7.00pm. you must wear a swimming costume in our swimming pool. No shorts, etc. 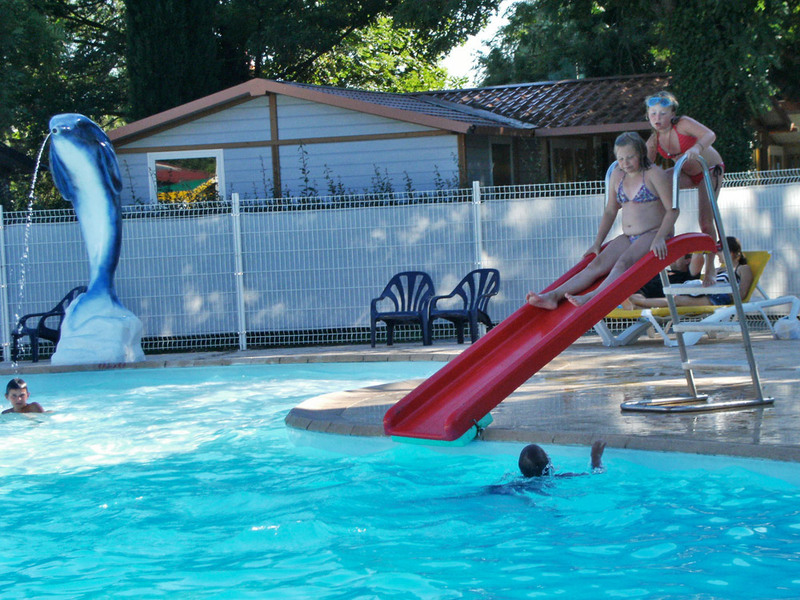 The camp-site is ideally located on the bank of the river Ardèche. You swim in natural surroundings. Novelty 2017: Multi-sports ground for soccer, volleyball, basketball and handball. Events are organized on several evenings each week to amuse kids and adults alike..
During the day, you can participate in French bowling (pétanque) contests and play table tennis and volley ball – unless you prefer a siesta! 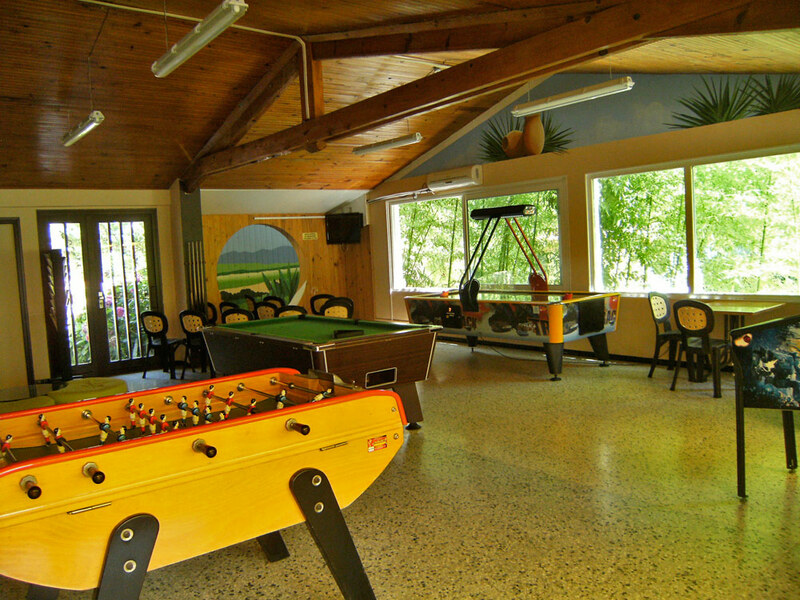 Games room with billiards, table football, fast track hockey, a TV corner and library. Adventure playground for children near the pétanque pitch.